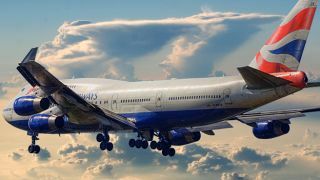 Last year the FAA (Federal Aviation Administration) lifted the ban on using personal electronic devices during takeoffs and landings, allowing passengers to use their gadgets during any part of the flight, as long as they were in flight safe mode. Whilst this pleased a lot of passengers, not everyone was happy, and now the Flight Attendants union has taken the FAA to court in a bid to reinstate the ban. The Association of Flight Attendants-CWA is contesting the lifting of the ban, stating that the FAA violated federal regulations to require passengers to stow all items during critical times of a flight. The FAA is arguing that handheld electronic devices are not covered by the federal regulations. Both sides are arguing their cases in front of a three judge panel for the U.S Court of Appeals. The flight attendants' main concern is that passengers are not paying attention to emergency announcements made prior to take off, such as pointing out the locations of emergency exits. There is also a concern that devices could make it difficult for passengers to quickly leave the aircraft, and if there is severe turbulence or a change in direction of the aircraft, these devices could become dangerous. One case highlighted by the Association of Flight Attendants-CWA involves a tablet that became a dangerous projectile as it flew across the cabin. The flight attendants want all electronic devices to be turned off and stowed away during takeoff and landing. Meanwhile in Europe the European Aviation Safety Agency (EASA) has announced that it will now allow airlines to permit the use of electronic devices during any part of the flight without having to turn on Airplane Mode.